Epiphany has a gift she doesn’t necessarily want, tries to hide, and can’t return. When you think about it, is that even a gift? When a young Epiphany reveals her gift to her parents, her father isn’t so supportive and urges her to keep it hidden. What could be beneficial to everyone around her and, ultimately, save lives winds up being a thorn in her side for most of her young life. As an adult with a son and granddaughter of her own, Epiphany becomes much less reluctant and refuses to hide the truth any longer. She knows now what she didn’t know as a child, the visions she experiences are much more than a gift. Epiphany’s Gift, by Mallory O’Connor, takes readers on a journey of the mind as Epiphany learns to rein in her exceptional gift of visions. Epiphany is a well-drawn character with many facets to her life. She is a doting grandmother and loving mother who, like all mothers, questions her own decisions and how they impact her family. She is likable and gives readers someone to root for from the first vivid descriptions of her visions. O’Connor masters the art of the eerie character with the Old Man. It isn’t often that a book gives me chills, but I have to admit that the initial encounter between Epiphany and the Old Man provides one of those moments. O’Connor simultaneously succeeds in giving readers an aha moment while showing the main character to be a strong one from a very early age. In addition, the incorporation of the Old Man into Epiphany’s adult dilemma is nothing short of brilliant. Epiphany’s visions and feelings come and go in the most unique way. Reading about her premonitions is equivalent to watching them on-screen. Without giving away too much, I can say that O’Connor makes each of Epiphany’s “encounters” amazingly clear to readers. As the book plays out as a mystery, Epiphany uses these encounters to lead her to a resolution–truly unique and engaging. One of my favorite aspects of O’Connor’s work is the writing style itself. O’Connor’s writing is clean, concise, and descriptive without being overly flowery. Her character descriptions are wonderfully memorable. Susan, Epiphany’s mother, is one of the standouts for me. She is a spry and lively woman in her 90s–I can see her in my mind’s eye now. Readers who enjoy mysteries but appreciate a blend of nonfiction will find O’Connor’s work appealing. O’Connor proves herself to be powerful as a writer of suspense. There exists a certain amount of the old detective novels within Epiphany’s Gift, and I can see any fan of that genre becoming enamored with Epiphany and her amazing gift. 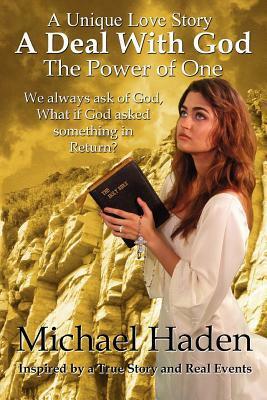 A Deal With God: The Power of One, written by Michael Haden, tells the tale of two sweethearts Rebeccah Johnson and Leon Samuels who fates are intertwined after a romantic summer night. But tragedy is to strike the family, leaving the three children without a mother and a broken husband who feels lost and alone. A deal struck with God means a beautiful woman, Deana Murphy, will enter their life; destined to help the family in their darkest days. Faith, love and admiration will blossom as Deana helps the family in ways they would least expect. A Deal With God is a love story unlike no other as it delves into the complexity of families, grief and having faith in God’s plan. Prepare to fall in love with the characters as you laugh, cry and experience their accomplishments right by their side. Matthew, Mark and Luke are Rebeccah’s and Leon’s sons. A premonition about their son Mark sees God sending a woman by the name of Deana Murphy to enter their lives. We learn about Deana’s life and her hardships at the beginning of the story which builds a beautiful persona for the reader. Deana has experienced suffering and pain that only few could endure and in a twist of fate, makes a deal with God to save her life. Through her everlasting endurance and commitment to her faith, Deana begins her life and recovery in the town of Dothan, Georgia. Her faith is inspiring as she takes on incredible responsibilities and weaves her way into a complicated life. The themes in the book can be quite emotional and complex at times, creating a sense of urgency to find out what happens and whether the characters recover from their trauma. For these reasons, prepare to sit down and read the entire book in one sitting as it is easy to read, like a “I must know what happens” kind of story. The plot line is fast-paced but still stops to describe delightful outfits or luscious food that will leave your mouth watering. It also details sporting events, pulling it away from the romantic plot line and giving the reader a sense of adventure and energy. A Deal With God explores the different dynamics that occur within families and how different people respond and react to death. It will push the reader to consider how their family dynamic may be affected by death and grief, or how you may feel when a wonderful stranger mysteriously walks into your life. The book is based on the traditions and beliefs of Christianity and I appreciated the real-life experiences the characters endured and how they continued their faith regardless of the tests that God threw their way. In the beginning, everything seems normal. A normal young man, leading a normal life in a normal village. 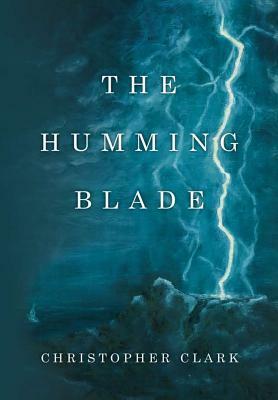 But Christopher Clark has plans for destroying the image of ‘normal’ in his tale The Humming Blade. We meet our protagonist, Wyatt Arden, as he wakes from a dream that seems more like a premonition than anything else. He stumbles out of bed to go about his normal day only to have his entire life turn upside down before the night is even over. He’ll soon learn he’s not so normal and that his entire life and history is more fantastical than any tale he has ever read before. Our young farm boy who has grown up with a single mother learns that you can never assume that life is what you already know; there is so much more to learn. Clark writes in a fashion that is very easy to read and understand while being engaging and almost poetic. The words flow on the screen in such a way that not even the dialogue seems choppy. His descriptions are fantastic and truly draw the reader in the world he has created. Clark slowly builds his world without drawing anything out longer than it needs to be. Explanations are placed accordingly and nothing seems forced or useless. The introduction of Wyatt and his life on the farm is simple and careful. He doesn’t over embellish anything and doesn’t confuse readers by giving them too much information at once. The narrative is broken up nicely between what is occurring the in the present of the story and the past of the world as well. Without drawing anything out, Wyatt learns quite quickly that the simple life he thought he has is anything but. After his best friend leaves for military duty and Wyatt is feeling a bit bogged down by responsibility to the farm and his mother, he is thrust into the center of a typical fantasy-adventure plot. He finds a magic sword, a talking, slightly invisible cat, discovers that his lineage is not what he thought it was and that he possesses incredible power that has been hidden from him. These are necessary in Clark’s fantasy story and while they are stereotypical, nothing feels forced or overdone. After Wyatt learns that the friendly village blacksmith has a more intimate connection to him than he initially thought his entire world literally goes up in smoke and Wyatt is faced with a journey of self-discovery. This journey holds not only his future, but the future of his world in the balance as Wyatt uncovers more truths than he cares to. The ending is slightly abrupt with a big reveal and no indication whether the story is going to continue. That aside, the book is a well done stand-alone as other questions are neatly wrapped up and answered. Clark knows his craft and has delivered a satisfying ending. Hopefully he decides to delve once more into the world of The Humming Blade and give us a final answer on the surprising plot twist he left us with. Readers who are looking for a fun adventure filled with interesting world development and exploration of the foundations of the world itself will not be disappointed with this tale.